We have been a family owned and operated business serving the Mid-South since 1970 specializing in fire protection located in DeSoto County in the same location for over forty (40) years. 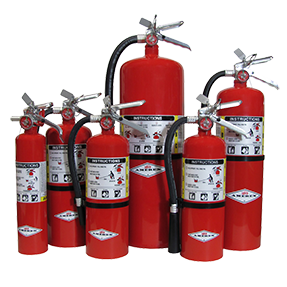 All service technicians are certified as fire extinguisher specialists and certified to design, install, maintain and recharge Restaurant and Industrial Fire Suppression Systems. Extinguisher Training is readily available and encouraged for all of our customers. A-1 Fire Protection offers monthly, quarterly, semi-annual, and yearly inspections on fire extinguishers, exit/emergency lighting, fire suppression systems, and steam cleaning to meet every customer's needs. Every company vehicle is equipped to provide immediate service. Our services also include fire extinguisher training which can be specifically designed for your company. Training is conducted in accordance with 29 CFR 1910 Subpart L – Fire Protection 1910.157 which meets OSHA and NFPA guidelines and consists of hands-on simulated controlled fires, orientation and proper use of hand held portable fire extinguishers. A Certificate of Training will be provided to each attendee recognizing their completion.